Profoundly Seth: Pink or Blue? So when I was pregnant with Seth I was anxious to find out if he was a boy or a girl, so I took a questionable leap and tried out the Intelligender test at home when I was about 14 weeks. It involved peeing, swirling gently, crystals reacting...in the end I got a boy result, and a week later I found out I was, in fact, having my third son. I was thrilled! 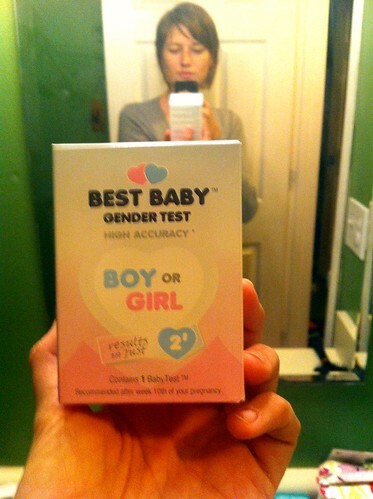 So when I was pregnant with Evany I shelled out for another Intelligender test. I don't clearly remember doing the test, but Mara tells me I got a boy result, while I was most certainly, as we would find out, not having a boy. So it was right once out of two tries. The test was pretty new the first time I took it, but over the past few years it's gotten some pretty questionable reviews and so this time around, I wasn't so willing to spend the thirty bucks to see what I was having, although I do get a strange kick out of early gender guessing and tests. I don't know if it's related, but I also take way more pregnancy tests than is necessary when I find out I'm pregnant. I either like peeing on things or I like taking tests. Maybe it's a disorder. Then I heard about another brand of early gender test, the Best Baby Gender Test, and they offered to send me at test for free if I would let them know if their test turned out to be correct. Win/Win! I get to do the test and it doesn't cost me thirty bucks! Apparently if you get a girl result, you're set. 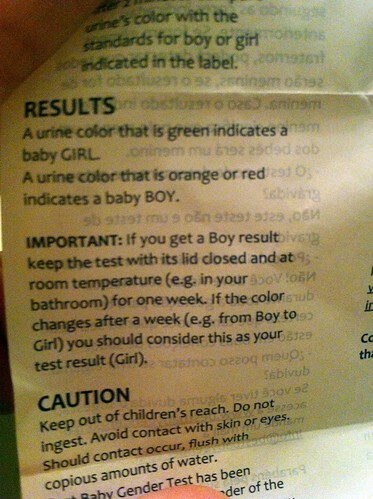 But if you get a boy result, you have to leave the jar in your bathroom for a week. If it changes to a girl result in that time frame, then it's a girl. Which is really weird, I have to say. And slightly questionable. 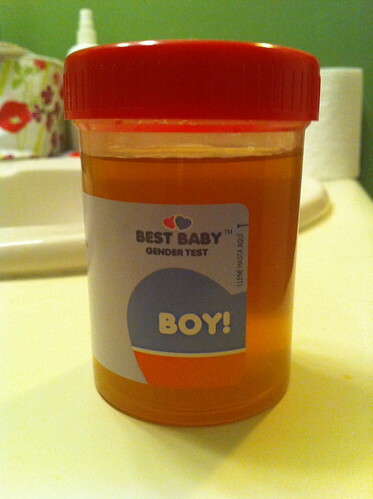 But as of tonight, the jar is still classic boy orange (and it's also in my medicine cabinet, not out in the bathroom, fyi) , so I guess we'll see if "he" changes to a "she" this week or not. I know I'll be on the edge of my seat waiting to see if the free test with a 50/50 shot at being right changes color on us. It's very scientific, y'all. Anyone have a feeling as to boy/girl of M6, as Mandy likes to call him or her?